Provide comfort for the family of Lois Austin with a meaningful gesture of sympathy. Lois Anne Austin, 85 of Alexandria died Saturday in the Alexandria Care Center after an extended illness. Lois was born in Anderson on May 24, 1933 and was the daughter of Earl R. and Bernice (Shuck) Austin. She was retired from Delco Remy, Anderson. Lois liked to watch NASCAR and other sports, doing puzzles and reading Harry Potter books. She is survived by her children, Ray (Terry) Brooks, Chris (Lora) Perdue and Lori (Barry) Baker; and her twin sister, Louise J Collins. Also surviving are several grandchildren and great-grandchildren. Funeral services will be held on Wednesday, April 3, 2019 at 3:30 p.m. in Whetsel Funeral Service, Alexandria with Bud Whetsel officiating. Friends are invited to call at the funeral home on Wednesday from 2:00 p.m. to 3:30 p.m. Cremation will follow the services. In lieu of flowers, the family request memorial gifts are made to the Austin family in care of the funeral home. Whetsel Funeral Service is truly honored to care for Lois and her family. 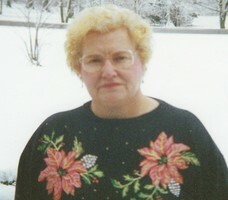 To send flowers in memory of Lois Ann Austin (Austin), please visit our Heartfelt Sympathies Store.